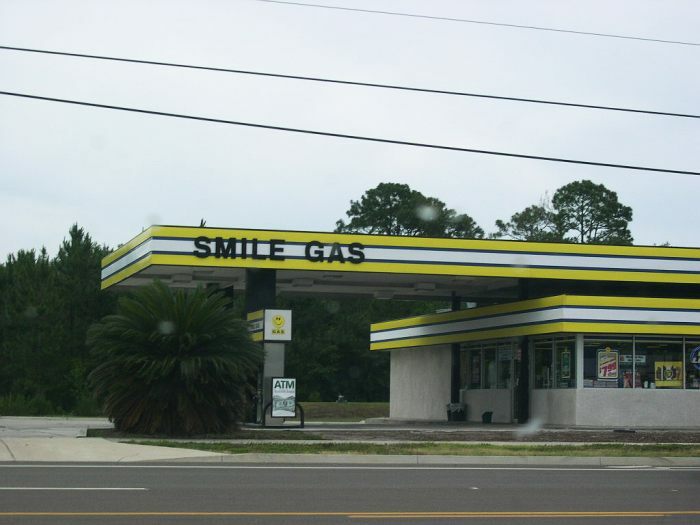 Smile gas at 2135 Sadler Rd., Fernandina Beach, Florida. 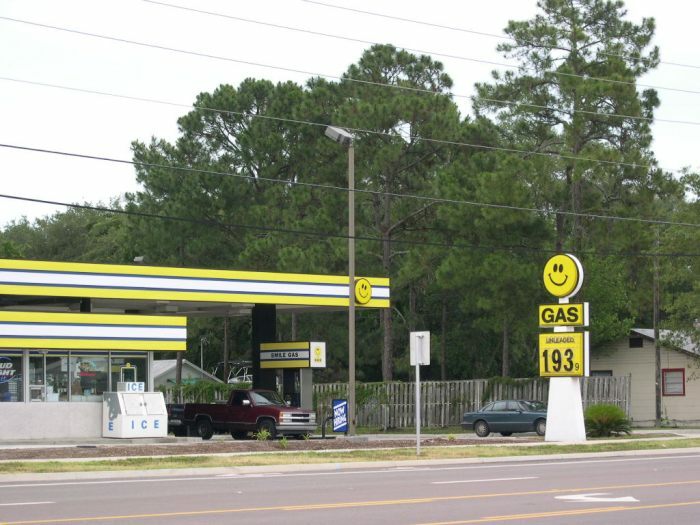 Taken June 4, 2004 by Alex Wong. Close-up of the right-hand side of the station above. Close-up of the left side of the above station.